The article then went on to share stories of favourite Ts and some of the stories linked to them were truly moving. I know that I certainly have some running T shirts that are very special, whereas there are others that I have happily given away, with no regrets whatsoever (no names, no pack drill 😛 ). So I thought I’d ask my running friends to share with us their fave T, and tell us a little about why it’s their favourite. Does the T shirt bring back memories of a particular race? Or does the T represent a cause or a charity dear to their heart? 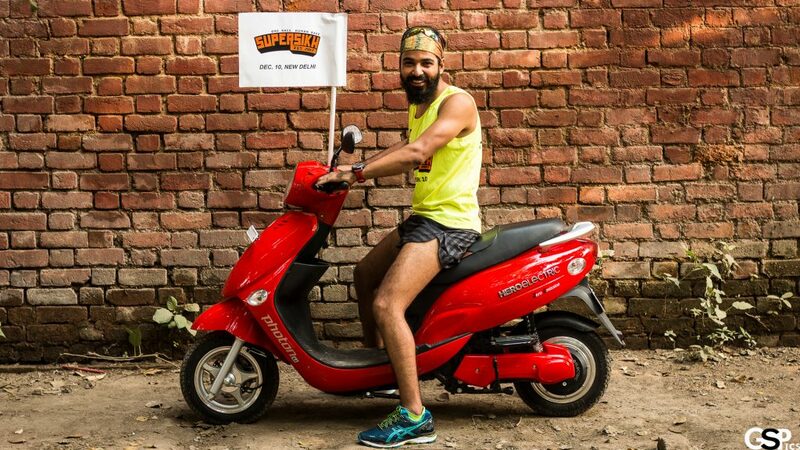 To kick off this new section in the blog, I asked my running and training companion, marathoner Ripu Daman, which is his favourite running T.
The Super Sikh Run ‘green’ singlet is my absolute favourite for many reasons. Super Sikh Run is extremely close to my heart. 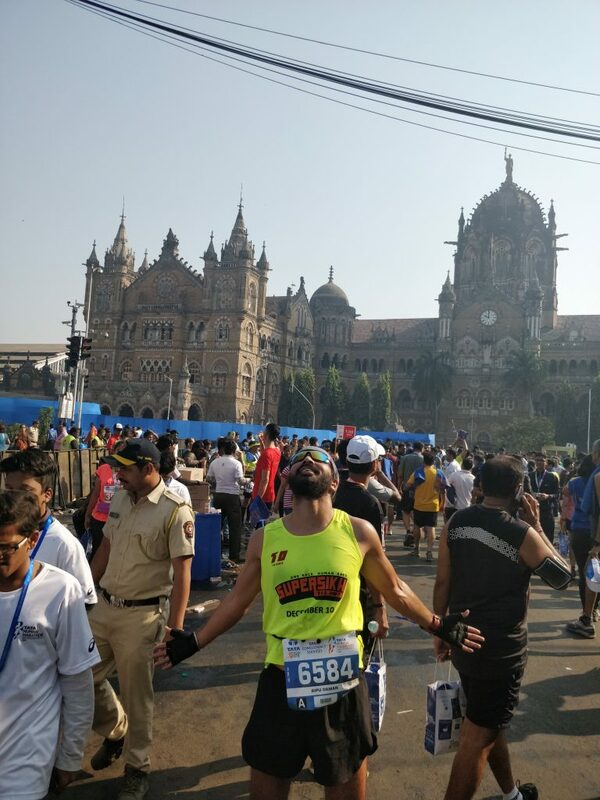 Having been inducted into the family so smoothly, wearing multiple hats over the year, and then to become the face of the run, and seeing my posters on the route on race day was a high that I hadn’t experienced before. And all in the same singlet! The original SSR T is a bright orange colour, but with this limited edition green singlet, we add another focus i.e. environment. 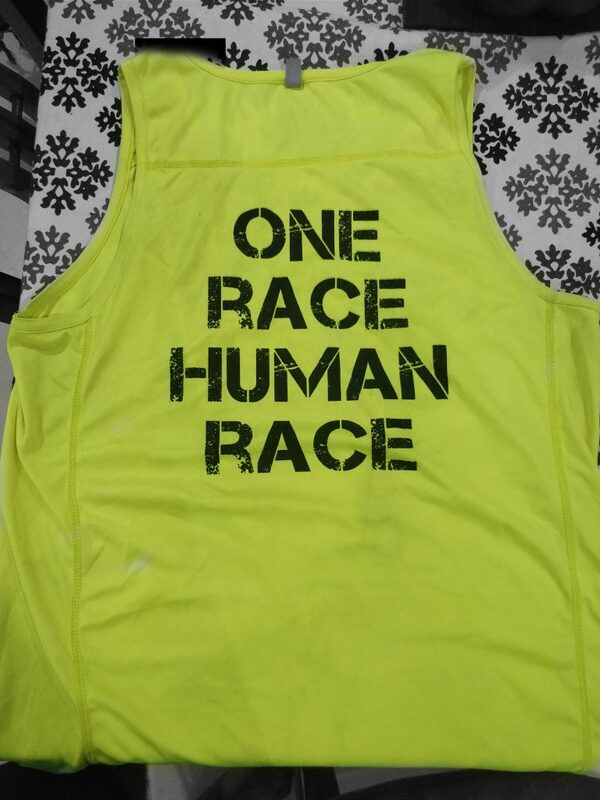 One thing that Ripu said makes total sense : the message on the T shirt, which is one of the mantras of the Super Sikh Run – “one race human race”. In these troubled times in which we live, I couldn’t agree more.